The April retreat is full & sold out. Feel free to submit your email address to be the first to hear about the Autumn Retreat. YES! I want to be the first to hear details and be invited! 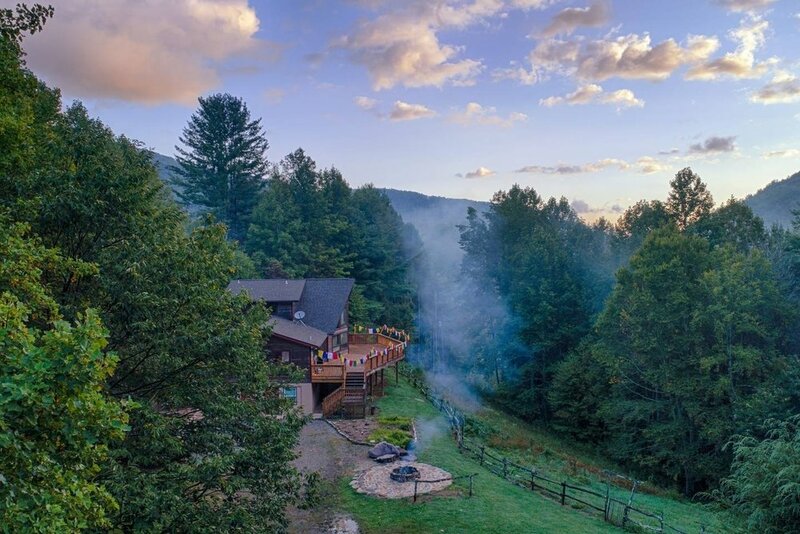 Retreat into the oldest mountains in the world and immerse yourself in sacred circle with four days of sacred ceremony, inner alchemy, breath-work, energy medicine, women's circle, and the magic of sisterhood. Divining: to see deeply into and illuminate truth; intuitively discover; have amplified insight; to reveal to ourselves what already is. Radiance: shining our own infinite divine light and BEingness; reflecting brilliance; exuding luminosity; emanating great joy, love, truth. This sacred circle alchemical immersion is equal parts Deep Soul Work and Retreat. Retreat in the sense that we will nourish and tend to the emotional, mental, physical, and energetic bodies… stepping out of the day-to-day and steeping ourselves in the richness, re-membering, re-vitalizing, and deep re-sourcing that comes when we allow ourselves to simply BE. In this way, we slow down and flow with the truth of who we are. Deep Soul Work in that every moment is an opportunity for alchemy. We will be in ceremony, journey, inner alchemy, reflection, and revelation each day… rooting ourselves in the embodied re-membering of our essence of Radiance. Not by way of love&light bypassing, rather in a deeply practical and tangible sense. We step across the threshold in to our sacred immersion on Thursday April 4th at 3:00p.m., the eve of the new moon in Aries, and we will be ‘in circle’ for our entire time together. We will presence into our own heart/soul wisdom, root in to the heart of these Grandmother mountains, and deepen in sister connection. Tuning inward, we will reflect and align with our innate wisdom. 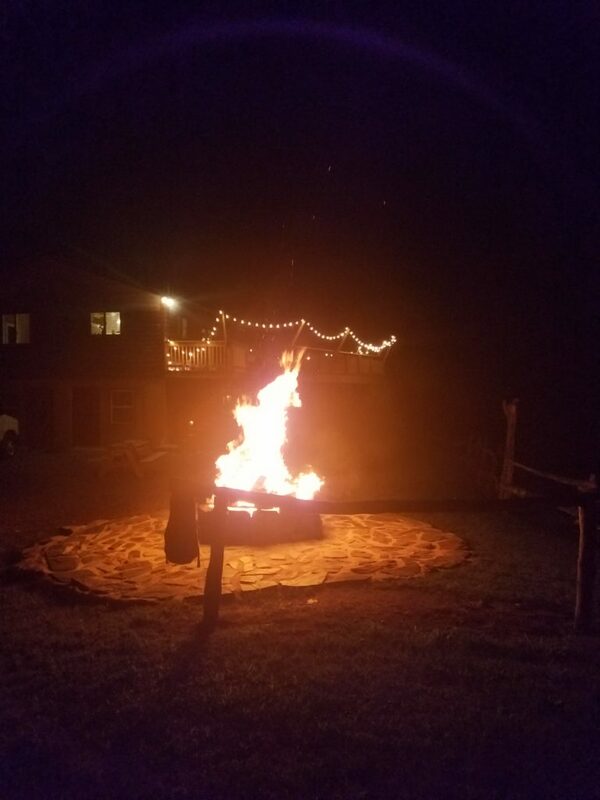 After an evening meal, we will gather around the fire. Kundalini Reiki and a goodnight meditation will complete our first day together. Archetypal reflections of Goddess Kali will guide our day and be woven throughout our immersion. We will BE Divining our own Radiance; and excavating, clearing, & transmuting all that is keeping us from BEing fully embodied in our own true Radiance with Breathwork, Ritual, Ceremony, Circle, Shamanic Journey, Meditations, and Energy Alchemy… unveiling layers of self, truth, activation, expansion, and remembrance. This new moon offers us a powerful opportunity for re-birthing. Our days will also include time with the sacred land and self-reflection, drumming around our evening fire, and three meals together. Through connection with the Earth, breathwork, ritual, divine communion, circle, and sound we will continue our journey with potent inner alchemy. On this first day of the new lunar cycle, we are invited to look at renewing our commitments to ourselves… how we desire to walk in this world, rooted in our own Radiant Truth, and what tangible steps can we take to make that happen. A discussion/workshop and playful experiencing of the Physics of Energy will support bringing this shift back in to our day-to-day lives. Our day will complete with a ceremonial Mineral Waters Soak at Hot Springs Resort & Spa. Clarity. Clearing. Completion. Connection. Integration. Wisdom. These will be the core energetics of our final day together, as well as attuning to our Radiance, and anchoring in the knowings of our immersion revelations. We will re-emerge from our circle’s threshold on Sunday April 7th at 3:00p.m. as Radiant, Rooted, Aligned, Re-Sourced, Nourished, Wild, and Free. As you feel into the intentions and energy of our weekend, please keep an open heart to the possibility of change! We will shift and flow as the energetics reveal themselves in the weeks leading up to our immersion, and as the alchemy weaves together when each sister anchors in her YES. All experiences are optional. Our circle will fill and close with 16 women, to ensure close-knit community and to hold a potent container. 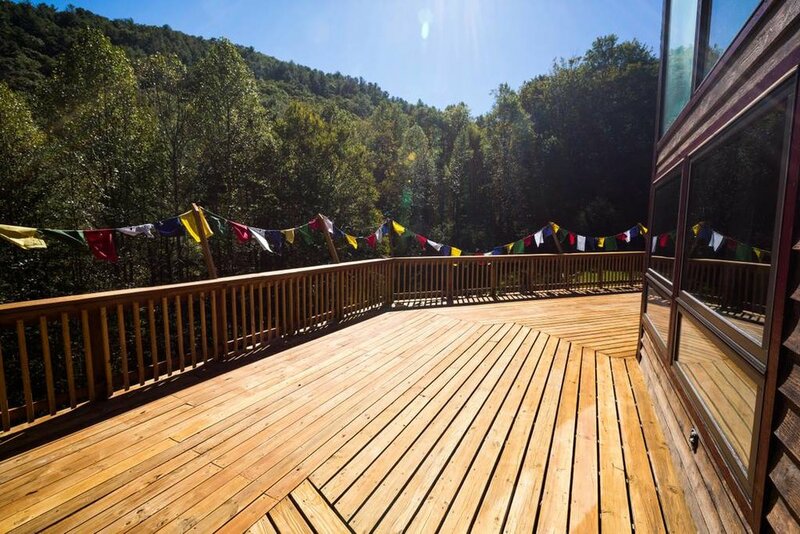 Our retreat home is the beautiful Wheel of Bliss in Hot Springs, NC about an hour from Asheville and 10 minutes from Max Patch. Nestled in to the heart of these oldest mountains in the world... we have 63 acres of sacred land, rolling meadows, creeks, streams, waterfalls, lush forests, and mountain trails to ourselves. 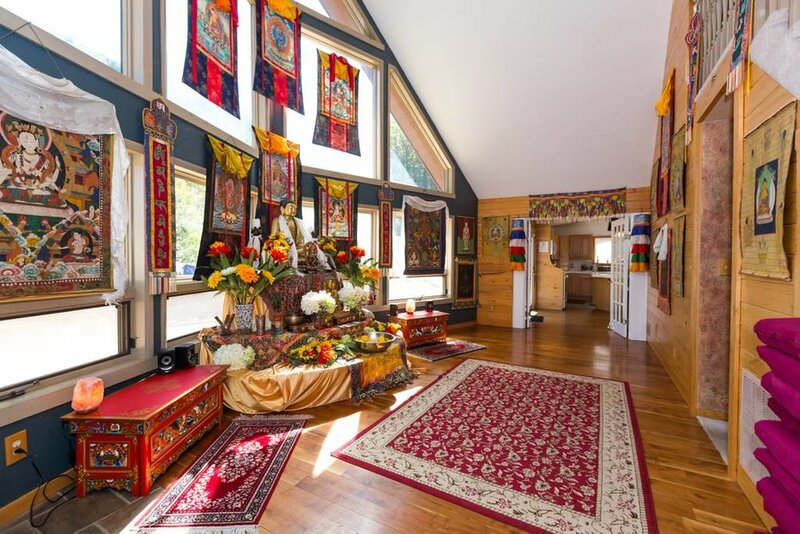 This retreat center & her land have a deep and rich history of communities gathering in sacred ceremony and honoring ancient tradition. Jessica has a special relationship with this land and we will continue to return here for communion, alchemy, and ceremony! Deposit of $145+ reserves your space. All inclusive options from $555. Hello, sister! These retreats are so special to my heart. Being immersed in circle and witnessing women return home to themselves, shed layers, step into wholeness, remember their own magic, connect more deeply with self and sisterhood, have heartfelt breakthroughs, and simply allowing ourselves to be in the divine perfection of what we already are… that is absolutely transformative and priceless to me. What we drop in to here, on these retreats, feels time-bending and beyond anything my imagination can craft. I invite you to join us if you are open-heartedly desiring more radiant wholeness and deep self-sourcing in your life. You know if you are meant to be with us, so if it is a yes, say YES! In addition to our meals and snacks, we will also be enjoying the delights of: Cacao Heart Opening Elixir, Wild Woman’s Moon Herbal Tea (aka “the” tea), Turmeric Golden Milk, and more herbal culinary treats. 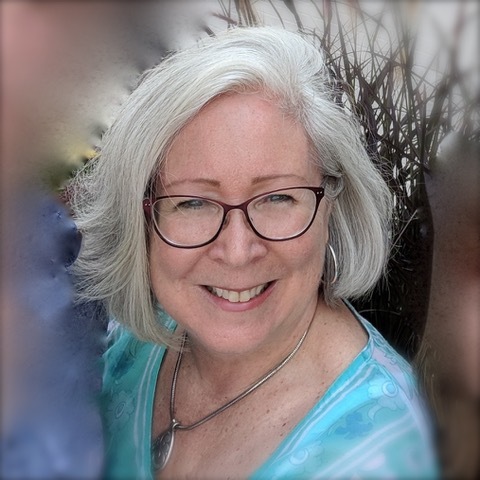 Kimberly Keating Wohlford is a Culinary Herbalist, Reiki Master Teacher, Medical Reiki Master, Earth Energy Medicine Practitioner, Ordained Interfaith Minister, Writer, and Photographer. She has 35 years of experience preparing delicious and beautiful recipes that support good health, and shares this knowledge through her herbal cooking classes. Her company, Ashgate Pathways, was created to share the wisdom revealed when science, art, and spirit intersect on the path of healing. 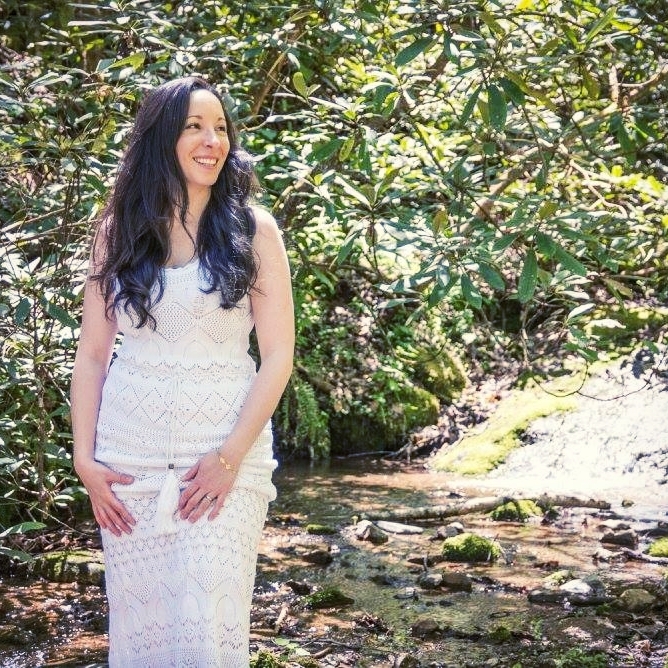 Kimberly resides in Pisgah Forest, North Carolina with her husband and the family of white squirrels that live on their property. With her rooted wisdom in food as medicine and working with the vibration of food, Kimberly’s culinary & herbal delights will nourish us in mind, body, and soul to support our alchemical immersion. 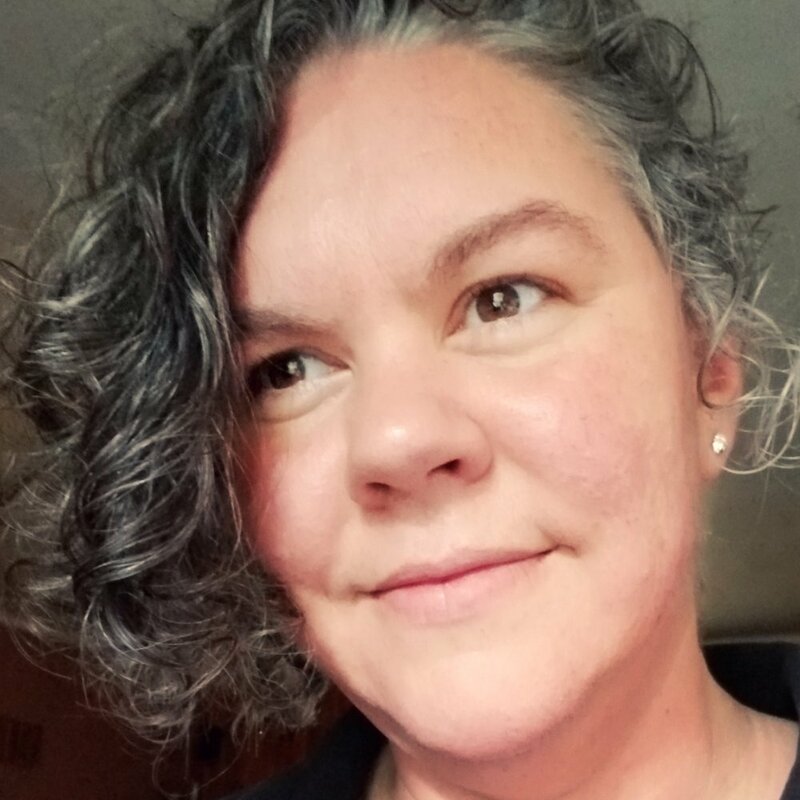 Tamara Wilson is an Earth Priestess, Intuitive, Writer, and Coffee Goddess. Her life has led her deep into herself through earth based practices, goddess reverence, and Shamanic journey. 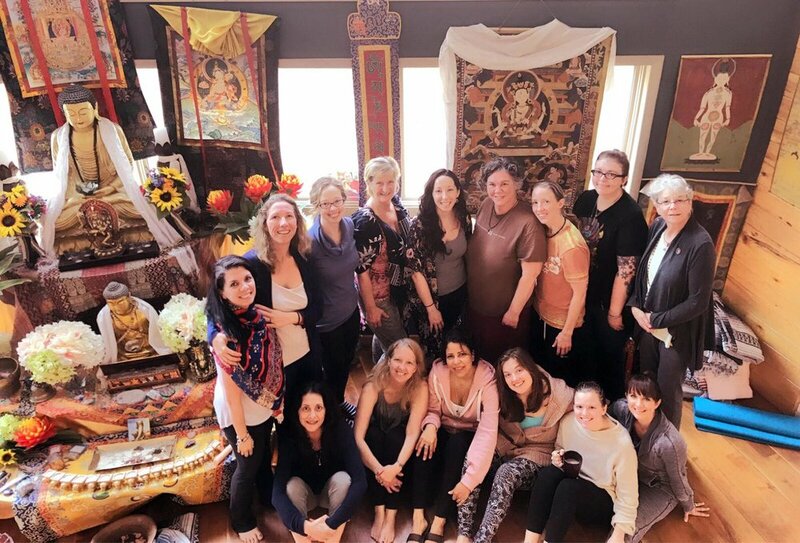 A devotee of true soul Sisterhood, showing up in this way wildly transforms both Tamara and her Sisters through the alchemy of compassion and unconditional love. 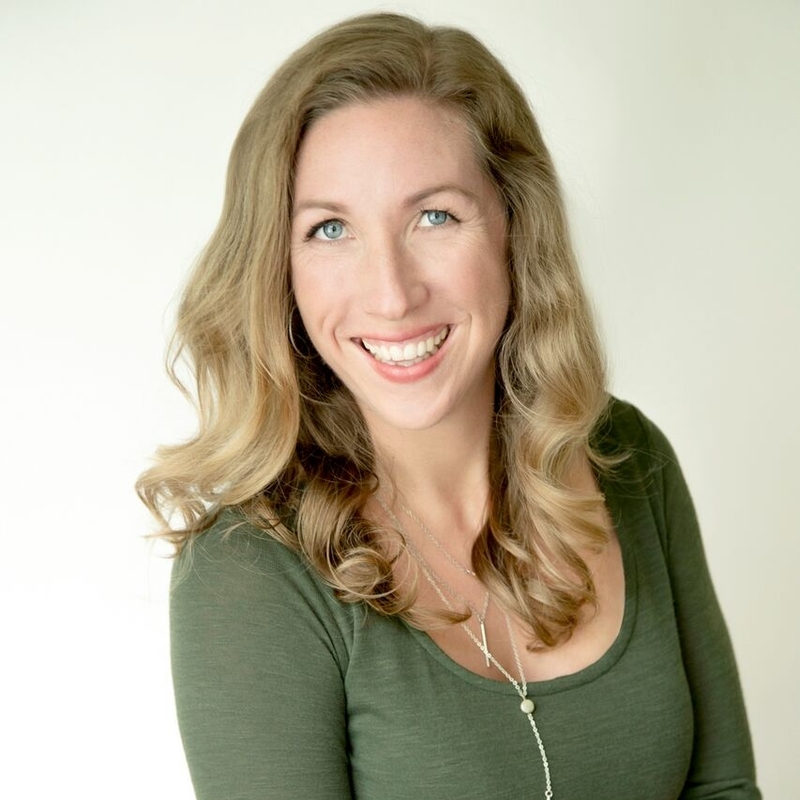 She uses earth, moon, and goddess connections to help strengthen bonds between mothers and daughters while empowering a generation of young women to lift each other up through Sisterhood by way of her blog, Guiding Young Goddesses. She is honored to share her grounded and nurturing presence as well as her love of circle, angels, and sacred ceremony. Ionsul Ferrin is a Mother, Facilitator, and Cosmic Guide of conscious life shifts. Her work is dedicated to bringing light-workers into the full expression of their power and mission. You can usually find her making goofy faces with her kids, dancing with Mother Nature, or reading obscure metaphysical books. Connect with her on Facebook or Instagram @ionsulferrin. This retreat is now full & sold out. Feel free to submit your email address to be on a waiting list or to hear about future events. Wheel of Bliss photos belong to Wheel of Bliss.